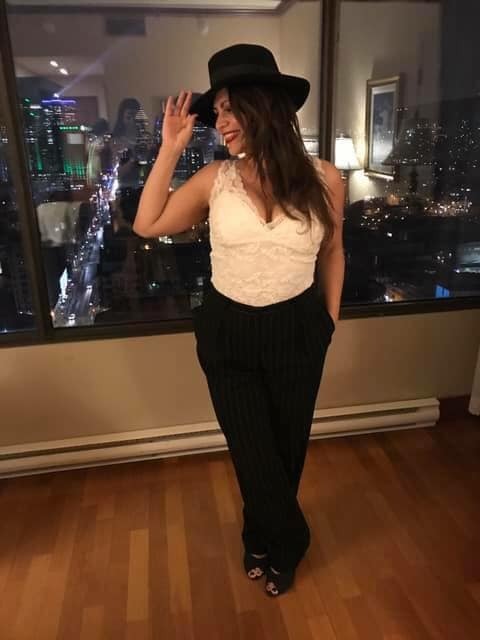 Usually I like to spend New Year’s Eve alone to reflect on the year and to prepare for the upcoming one, but I made an exception for a dear friend who was visiting from Ontario and we celebrated her birthday and the new year in style - complete with a pimp hotel suite and morning feasts! I still have yet to reflect on 2018 but I’ve been diving into 2019 with all my heart and I'm excited for what's to come. When it comes to embarking on a new year (whether that's marked by a birthday or the end of the calendar year) it's a time that naturally inspires us to reflect on how far we’ve come and/or how far we’ve yet to go and that’s not always an enjoyable reflection. It can be sobering and disappointing if the vision you had for your life doesn’t match the reality of what is, but don’t let it end there. We are all in the same boat of trying to bridge that gap and there’s plenty more to come for each of us. I don’t believe any person on the planet had life unfold exactly as they planned it to. But I do believe life unfolds exactly as it should and I believe each of us are powerful enough to create something extraordinary with the time we’ve been given. You can transform yourself and your life on any day and in any moment. Not because you’re not enough already and need fixing, but because you deserve to feel amazing as you are and to live a life that reflects the real (and current) you and sometimes that takes work. And oftentimes it requires self-refection and ongoing recalibration. Nothing can stop you from becoming more of who you are. Nothing. And nothing in life can top full alignment with your highest self. So if you’re going to reach for the stars this year, let your North Star be what you’re moving towards because that will never steer you wrong. For me, 2019 is about fully committing to my creative projects that took a back seat as I rebuilt Too Good Triangles in Montreal in 2018. We can’t do it all at once but we can do it all bit by bit. Here's to a year of teeny steps that will amount to great distances over time. P.S. Do I add inspiration, light and insight to your day? You can make a donation in any amount and/or subscribe to my free newsletter for even more goodies.